The H1B categories apply to aliens coming temporarily to perform services in a specialty occupation or distinguished merit and ability. The FY2001, 2002, and 2003 cap on H1B admissions is 195,000 workers. The laws regarding the H-1B Visa constantly change and concerned candidates should stay informed and updated as much as possible.The H-1B Visa allows foreign workers to enter the U.S. and work in a variety of fields. These fields are various and range from Architecture and Engineering to Medicine and Health. The H-1B Visa offers a wide range of employment possibilities and is a substantial first step toward permanent immigration. The job you apply for must demand at last a U.S. Bachelor's Degree or its equivalence. 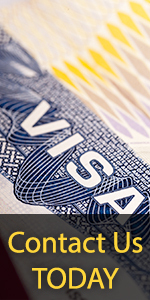 The visa is not self-petitioned, which means you will need an employer to sponsor you. You can stay in the U.S. for up to six years, after which you are required to leave the U.S. for at least one year before being eligible again. Your spouse and unmarried children under the age of 21 are allowed to join you in the U.S. under the H-4 status. They are not permitted to work, unless they personally qualify for a work visa. You must first get in touch with a U.S. employer who will offer you employment. This employer should file a petition with the USCIS and obtain a Labor Condition Application (LCA) certified by the Department of Labor Employment and Training Administration . They must also show that you are qualified for the proposed position, and that the job falls under the classification of a specialty occupation. After wage conditions are met, the employer will submit the LCA form to the Department of Labor. After verified, accepted and certified, the LCA form will be returned to the employer. The employer should then submit the form to USCIS. Other documents required include proof of your expertise, the type of work you will be involved in and your employer's professional credentials.The employer must file-in Form I-129 (Petition for Non-immigrant worker) with the USCIS office which, USCIS will send Form I-797 (Notice of Action) to your employer. Your employer should then send you all requried documents (see below). You will then be able to apply for the visa at the U.S. consulate in your country. Form I-797 (The Notice of Action). This petition should be sent to you by your employer. Proof that your academic and work qualifications are equivalent to that which is necessary for obtaining the visa. Copies of your academic records. A resume and recommendation letters from your previous employers. Proof of any membership you have in relevant trade or professional organizations. Form I-797, the Notice of Action. A copy of Form I-129 . A copy of the approved LCA. A copy of the letter the employer wrote to the Consular General at the U.S. consulate in your country. A copy of the letter the employer wrote to the USCIS. A tax return statement of his/her business for last 2 years. Dependents (spouses and unmarried children under 21 years of age) of H-1B workers are entitled to H-4 status with the same restrictions as the principal. Dependents may not be employed under the H-4 classification.Each petition may only include one worker.